After a series of exciting adventures, Frank Ball, mountain desperado, but related to “good people” of Virginia, was captured and taken for safekeeping to Louisville, Jefferson County, Kentucky. Ball was not persuaded to surrender until a pitched battle had raged for about an hour, and one of his friends had been killed. About three months ago (May 1906), Ball, who had long been the leader of a band of outlaws which terrorized the Cumberland Gap country, escaped from jail at Richmond, Madison County, Kentucky, where he was held under a life sentence for the murder of Jack Bolin, pending action of the Court of Appeals on his case. Several rewards had been offered by Governor Beckham, the jailer and sheriff of Madison County, the Odd Fellows, and Junior O. W. A. M. for the capture of the murderer. Although these aggregated nearly $2,000, and Ball’s whereabouts had been known for some time, no man had been willing to make the hazardous attempt to bring him in. Sheriff Rice W. Johnson, of Bell County, Kentucky, along with a force of nearly 60 men, arrested Frank Ball in Virginia and brought him back to Kentucky. He was known as the man with the worst Reputation in Kentucky ca. 1906.
engaged in locating the murderer, who was known to be somewhere in Lee County, Virginia. He made a careful survey and map of the immediate vicinity where he was in hiding and elaborate detailed plans for the desperate undertaking. It was learned that Ball and a number of his friends were stationed in the house of Rufus Ball, which is described as “practically a log fort,” near Hardy’s Creek, among the rugged foothills of the Pine Mountains at Wallens Ridge. After carefully planning his route and his attack, Sheriff Johnson and 16 deputies started out from Pineville to capture Ball. They feared that Ball’s friends and relatives might go to his aid, so they asked for reinforcements and about 30 members of the Middlesboro Militia Company volunteered as deputies. It was with a force of nearly 60 men that Sheriff Johnson and his special train crossed the Virginia border to Rose Hill in Lee County, Virginia. Lee County is the bailiwick of Sheriff P. N. Ball, father of the fugitive, and he did his best to make trouble for the sheriff and his posse who “invaded” his territory from an adjoining state to arrest his son. From Rose Hill, the Kentuckians, mounted two on a horse, rode to within one-half mile of Ball’s place of refuge, and then, dismounting, made the remainder of the distance on foot across Wallens Ridge. Ball had at first taken refuge in his father’s house, but several days before his capture had realized that he was being shadowed by detectives and retreated to his brother’s home in the mountains. It was after dark when the sheriff and his party arrived at the house, and so quiet had been their approach, that Ball and the four friends who were with him were completely surprised and were not aware of the deputies approach until the officers had them covered with their Winchester rifles and called upon them to surrender. Ball was given a life sentence at Barbourville early in the spring for the murder of Jack Bolin, a barber at Middlesboro, more than a year before. He was taken to Richmond for safekeeping while his case was carried to the Court of Appeals. Here he made his escape. Since that time, he has been a fugitive from justice in Virginia, where he considered himself safe from the arms of the law. Ball’s relatives are wealthy and the best legal talent of Eastern Kentucky was employed to defend him. Bolin was a respectable and popular barber and his foul and cowardly murder caused a powerful public sentiment against Ball, who had already made himself the reputation of being the worst man in the Kentucky mountains. J. Frank Ball, who had but recently been an unsuccessful candidate for sheriff of the county. Ball was the leader of a gang of desperate mountain men, and when the Odd Fellows Lodge of which Bolin was a member determined to apprehend the murderer; he fled with some of his crowd into the mountain wilds near Cumberland Gap. The Ball gang was heavily armed, and after the civil authorities had failed to take him the local company of the Kentucky State Guards was sent into the mountains to round up the desperadoes. About six weeks after the crime, the militia came upon the outlaws. In the first battle, their fire from behind rocks and trees on the rugged, overhanging cliffs put the soldiers to flight. Several of the besiegers were seriously wounded. Ball was finally surrounded and forced to surrender. He was indicted for the crime. The Ball gang was notorious for minor outrages in Eastern Kentucky. They were fairly well organized and maintained secluded headquarters, from which they sailed forth, occasionally attacking passersby and robbing peddlers until the substantial citizens began a movement that finally led to the arrest of the leader and the breaking up of the gang. There were no witnesses to the murder for which Ball was convicted, but he did not deny having shot Bolin. He claimed, however, that he had acted in self-defense. Bolin had made threats against him, he said, and he had tried to keep out of his way as much as possible. At the fatal meeting, he said, Bolin made a move to draw his pistol, and knowing that Bolin was desperate, he fired first. He has appealed from the decision of the court at Barbourville, and his case is still pending in the court of appeals at Frankfort. Of his escape from the jail at Richmond, Ball said he “just walked out,” but it was not quite as simple as it sounds. “It was about 7:00 (p.m.),” he says, “and with me in the tier were Jim Saylor and Steven and Jim Turner, all of whom were awaiting trial for different offenses. The jailer came into the tier for some purpose, and, at a prearranged signal, we all jumped upon him and overpowered him. Leaving him in the place where he had been, we escaped, as the door was still open. None of the deputies were about, and we escaped into the woods. Saylor and I stuck together while the Turner boys left us. We struck across country, aiming to reach Rose Hill, where my relatives lived. We slept during the day and traveled by night. We tramped and crawled about 120 of the 150 miles between the two places. It took us six days to do it, and we were nearly starved. We got two cooked meals on the whole trip, and as for the rest we picked up whatever we could find in country crossroad stores. We had some money with us and were able to obtain some canned food. We did not average a meal a day, however. “The suspense in traveling through the country, expecting every moment to be captured, was terrific. We managed to find concealed places to sleep during the day and traveled along the shadows of the trees and through the woods at night. I do not know how many days we were ahead of the sheriff, but it could not have been many, for the alarm must have been given as soon as we left. We arrived at my brother’s home in a very exhausted condition, and my feet were so sore that I could hardly walk. My shoes had been worn completely out. Contrary to what had been said, my wife and Dr. Gibson had nothing to do with our escape.” It had been said that the jail delivery was effected by Mrs. Ball holding Jailer J. W. Leads as he opened the door of the jail to let her out of the cell, where she had been spending the evening with her husband. Possibility Of Interstate ComplicationsWhether or not Ball is a quiet man, there can be no two opinions as to his father. The sheriff of Lee County is the noisiest thing in Virginia just now. He is fairly screaming with rage. He declares that every man who accompanied Sheriff Johnson into Virginia will be charged with murder. It is alleged by the Virginia authorities that the Kentucky officers did not have a warrant for Ball or requisition papers. 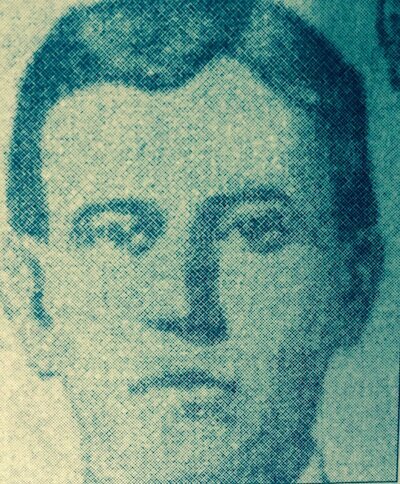 Lee, the man killed at Rufus BaIl’s house, where Frank Ball was captured, was a respected young farmer of Lee County, and not a Harlan County fugitive, as first reported. He is well connected in Lee County, and his many relatives there are highly indignant, claiming that the Kentucky officers had no right to fire on them. It is said further that unknown parties fired from ambush at Sheriff Ball, Houston, and Lyter Ball. One of the bullets pierced the hat of Sheriff Ball. As to the warrant, requisition papers, etc., Governor Beckham wired Governor Swanson as soon as he knew that Sheriff Johnson had started after Ball, asking him to instruct the civil authorities in his state to render all assistance possible to the Kentuckians. Governor Swanson immediately sent telegrams directing the judge of that circuit, the attorney for the Commonwealth of Lee County, and the sheriff of the same county, to do all that was necessary to effect the arrest and safekeeping of Frank Ball until the requisition could be obtained from the Governor of Kentucky. Meanwhile Johnson was holding his man on the Virginia border, waiting for proper papers to authorize his removal into Kentucky, and Governor Beckham had notified Governor Swanson that requisition papers would be issued at once. When the party reached Hubbard Springs, Ball told the men, who were all Kentuckians, who had him in charge, that he was willing to go to Kentucky without a requisition, and the posse at once went across the mountains into Kentucky. As for the charge, founded in the fact that two-thirds of the sheriff’s posse were members of the Middlesboro Militia Company, that Virginia was invaded by Kentucky militia that is scouted to Governor Swanson’s office, a captain, they say, would not take his command into another state without the permission of the Governor and certainly he would not go on a mission like that in connection with the capture of Ball unless ordered, and then the consent of the Governor of the state invaded would have to be obtained. While the members of the posse may have been members of a Middlesboro military organization, they did not come in that capacity, and the company as a whole certainly did not come. While there is great excitement in Lee County, it is hardly likely that serious trouble will result from the efforts of Kentucky officials to capture Ball. Meanwhile, Sheriff Ball is breathing vengeance and ready to call down fire from heaven or involve his state in war with Kentucky if necessary. Aside from the possible indictment of members of the sheriff’s posse for the murder of Lee, nothing is likely to happen. Meanwhile, young Ball is safe in Louisville, and Louisville is a long way from Lee County, Virginia. The shootout took place at the Ball home which still stands in the Ball’s Chapel area in Rose Hill. After much correspondence between Virginia Governor Claude A. Swanson and Governor J.C.W. Beckham of Kentucky, Bell County Sheriff Rice Johnson and his posse were not prosecuted for the death of John Lee.